Maybe you've heard that your neighbor claims a tax credit for what she spends on her child's after-school program, or your cousin might get all sorts of tax perks because his older teen is enrolled at the local community college. Or you send your child to a private school, and it's somewhat costly. Surely, you can claim your own tax break for this—right? Yes, there may be some help, but it’s not at the federal level so you will need to dig a little deeper for any savings. K-12 education expenses are not tax deductible for private school educational costs at the federal level. Educational expenses are tax deductible at the federal level for post-secondary and other types of costs. This would include community colleges, universities, trade or vocational schools, and pretty much any other accredited education program following high school. The key words here are "following high school." Grade school and high school tuition and expenses don't count. There is generally one big private school exception and that involves special schooling for disabilities. This one falls under the umbrella of the Child and Dependent Care Tax Credit. You might qualify for the Child and Dependent Care Tax Credit if your child attends a before- or after-school care program so you can work or look for work. If you're married, your spouse must also work or be looking for work. Your child must be younger than age 13—the IRS takes the position that if she's older than this, she doesn't require supervised care when you're unavailable. 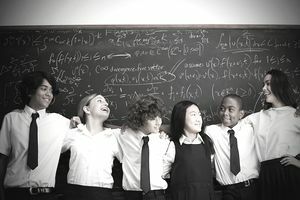 The credit applies to both private and public school programs, but you must separate the cost of the care from any tuition you pay if you send your child to private school. The school should be able to help you with this. The amount of the credit varies per taxpayer and is calculated on up to $3,000 in total work-related child care expenses for one child, or $6,000 for two or more children. If you spend $1,500 for the after-school care program and $500 for summer camp so you can work or look for work, you can claim a percentage of these costs as a tax credit. The amount of the percentage depends on your adjusted gross income. Notably, 529 savings plans are great for help with private school and post-secondary expenses. A 529 plan, also called a "qualified tuition plan," works similarly to an IRA but for educational purposes. There are two types, prepaid tuition plans and education savings plans. Every state sponsors at least one kind of plan. They're established and designated for a beneficiary's education costs. Contributions to the plan aren't tax deductible at the federal level, but their growth is tax-free as long as your beneficiary uses the money for educational purposes (K-12 and post-secondary included). Some tax deductions and credits do exist at the state level. It used to be that these plans had to be used for post-secondary education only, but the Tax Cuts and Jobs Act (TCJA) changed that beginning in 2018. You can now establish and use these plans for K-12 education costs. Parents and anyone who would like to contribute to a 529 plan can do so with no limit up to the plan’s maximum capacity. Contributors should be cautious about gift tax exemptions. In 2018, the gift tax exemption is $15,000 for a single individual. Anyone who contributes more than that can be subject to gift taxes in an IRS audit. Coverdell Education Savings Accounts were introduced in the Taxpayer Relief Act of 1997. This isn't exactly a tax break for paying tuition, but it's a tax break all the same. And it applies not only to post-secondary educational costs but also to high school and elementary school expenses as well. You can contribute up to $2,000 a year to a Coverdell ESA. Your contributions aren't tax deductible, but your money grows tax-free while it's in the account. You can withdraw all of it, both contributions and accumulated interest, for tuition and other qualified expenses without paying any tax on the capital gains. As of 2018, your modified adjusted gross income must be less than $110,000 to qualify for this tax break if you're single. The limit doubles if you're married and filing a joint return. Most taxpayers’ MAGIs (modified adjusted gross incomes) are the same as their adjusted gross incomes, but you'll want to check with a tax professional to be sure. Note: Tax laws change annually for federal and state filings. You should always consult with a tax professional for the most up-to-date advice. The information contained in this article is not intended as tax advice and is not a substitute for tax advice.